Dues period runs October 1st to September 30th each year. First year dues can be pro-rated to the month of joining. Despite its relatively short history, ACMA has a proven track record of impact. It’s the only such entity owned by and focused solely on catalog mailers’ interests. Members share their own requirements as catalog mailers, which go directly into the ACMA’s mix of input to postal and other public policy decision-makers for change in catalogers’ best interests. Members gain access to periodic, exclusive “member only” email updates providing details from Washington that catalogers need to know. These updates often contain “heads-up” alerts of postal and other public policy matters to give members a chance to plan ahead for change. Perhaps the most punishing blow to so many catalog mailers from the 2007 postal rate increase was how it caught so many by surprise. With these kinds of member updates, members will no longer be caught off-guard like that. On a broader level, ACMA membership acts as your own insurance policy. 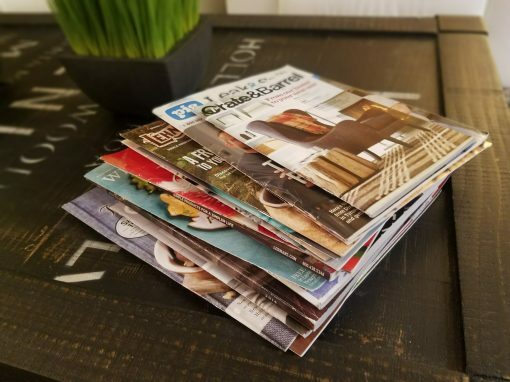 ACMA is the only organization fighting for catalog mailers’ best interests, whereas other organizations have myriad other interests they need to give equal, and often greater, attention to. Because ACMA is still in start-up mode with less than 100 members, joining the association will help it grow and thrive, all on your behalf. A member input contribution policy that’s open to all. Although ACMA policy is governed by a board of directors, the association’s policy is to take any and all member input very seriously. Members speak, the association listens and acts promptly. A chance to network with other ACMA catalog members. Catalog mailers speak their own “language.” They have unique needs and most are willing to share their ideas and concerns with other catalogers. A membership with ACMA provides this forum.